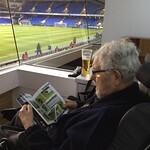 When lifelong Tottenham Hotspurs fan, John Halstein, expressed his wish to see his favourite team play one more time, the physiotherapy team at Rugby Myton Hospice went above and beyond to make sure this was possible. 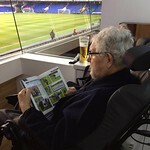 As soon as John had mentioned one of his final wishes, John’s brother, Andy Halstein, wrote to the football club to see if John and his family would be able to access the wheelchair zone by the side of the pitch. 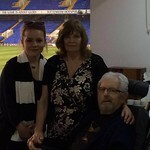 The father-of-two had been an avid Spurs fan since 1948 and now he wanted to head to White Hart Lane to see them play one last time. 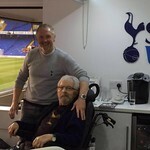 Within a matter of weeks, Spurs Wishes, a charity dedicated to fulfilling the wishes of terminally ill fans of all ages, replied to Andy’s enquiry, offering them an executive box for Tottenham’s match against West Bromwich Albion on Monday 25th April. This is not the first time John had seen Tottenham take on West Brom at White Hart Lane. 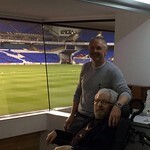 In fact, the first match John ever saw Tottenham play was against West Brom and now he would have the opportunity to see them play against each other again. The family were so happy with the response they received from Spurs Wishes that John couldn’t help telling Jo Bateman, one of the physiotherapists at Myton, ab out the match during one of his visits to Rugby Myton Hospice. 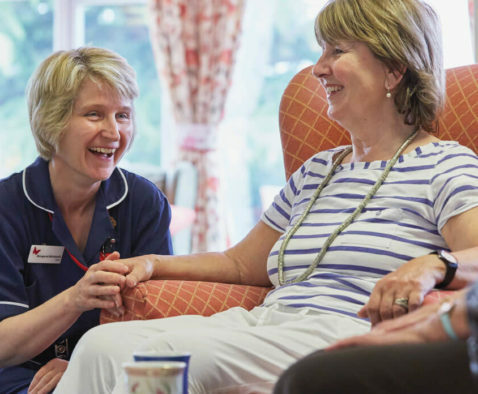 John’s other half, Sylvia Barlow, who John lovingly referred to as his soulmate, said, ‘The staff at Myton are very special people. They were all counting down the days with him and everyone wanted to make sure he was well enough to go. 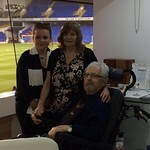 Although the family were very happy to have received such a great opportunity, concerns grew as to how they would be able to safely get John to the football stadium. 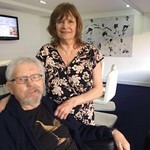 With help from her colleague, Liz Ball, Jo took it upon herself to organise transport and a wheelchair for the family to use to ensure John’s wishes were fulfilled. 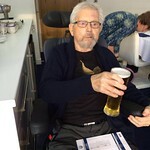 John was diagnosed with prostate cancer in December 2012, first accessing the services at Myton when he was admitted to Warwick Myton Hospice for respite care in February 2016. 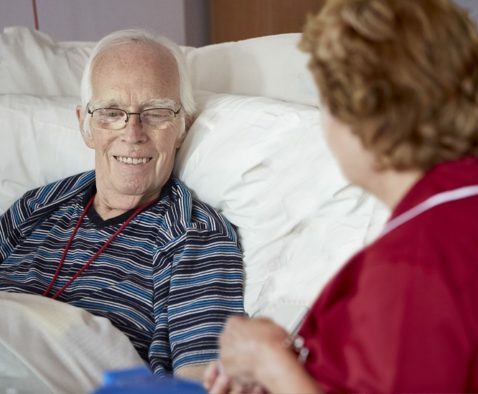 Two months later, John started attending Rugby Myton Hospice and soon developed a strong relationship with all of the staff during his time there. 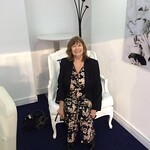 The morning of the match, Jo and Liz went to John’s home to make sure John and his family were well prepared for the day ahead. 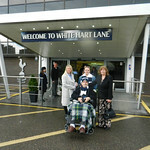 Liz then drove Sylvia, Lisa, John’s daughter, and Amelia, John’s granddaughter, down to White Hart Lane where they met Andy. 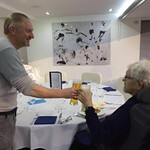 On arrival, John and his family were directed to the hospitality suite where they were given limitless refreshments throughout the day. A few former Spurs players even popped by to spend some time with John and his family after the match. 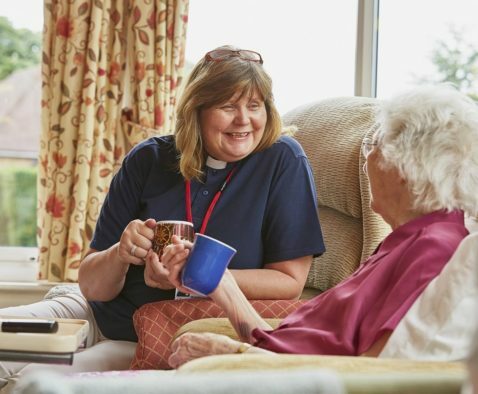 When the family were ready to leave, Liz drove the family back to their home in Rugby, helping Sylvia to safely put John to bed on their return. John sadly died at Warwick Myton Hospice on May 16th 2016, just 13 days before his 75th birthday. John was such a kind-hearted man who loved nothing more than spending time with his family. 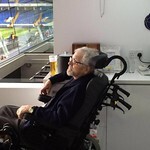 This is why we wanted to do all we could to make sure he was able to see his favourite football team one final time. 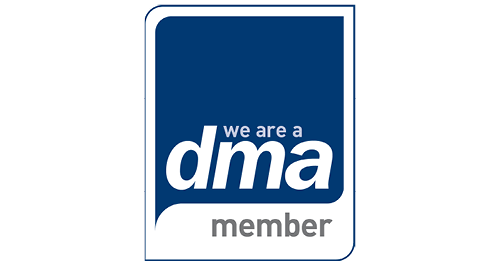 Thanks to the staff at Myton and Spurs Wishes, we managed to achieve this. 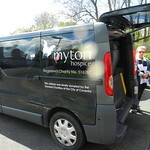 We can’t thank Myton enough for what they did. Nothing was too much trouble- they were amazing.